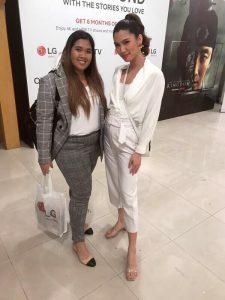 Global electronics and home entertainment giant LG Electronics Philippines and international online streaming pioneer Netflix Philippines once again strengthened its partnership with an advance screening last January 24, a day before the worldwide premiere of the newest original Korean series – ‘Kingdom’. More than a hundred media attendees watched the the advance screening with the impressive LG OLED TVs at the Korean Cultural Center (KCC) in Bonifacio Global City. Guests had a blast as they got to dress up in a traditional Korean Hanbok to pose against the realistic “Kingdom” backdrop and roaming zombies. A traditional Korean feast dinner was served after the Nara Team performed a traditional Korean Fan Dance before the actual viewing. This growing partnership between LG Philippines and Netflix Philippines further solidifies the bond between Filipinos and Koreans. This latest event is a reminder of the strength and reliability of the flourishing friendship between the Philippines and South Korea. 2019 marks the 70th anniversary of the friendship between the two nations, which started when the Philippines became the fifth country to recognize the Republic of Korea in 1949. Since then, the mutually beneficial relationship between the two countries has grown in every aspect: economically, technologically, culturally, and even in military and government support.